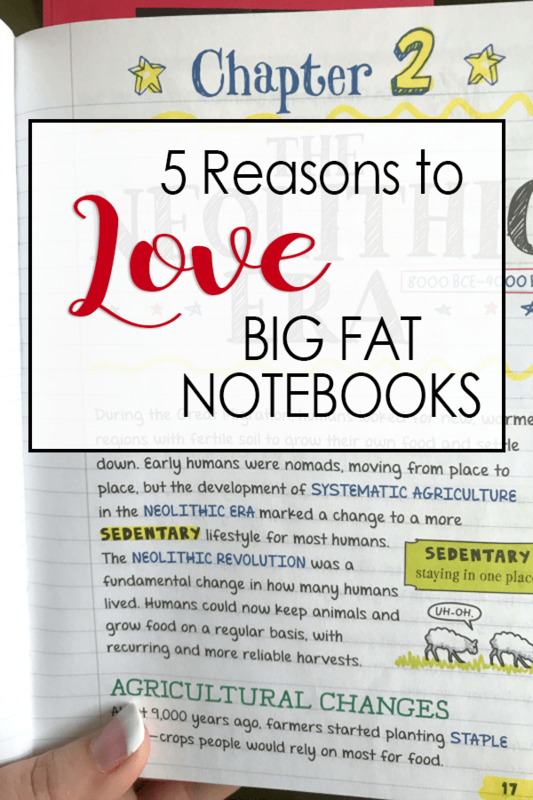 If you haven’t heard of the BIG FAT NOTEBOOKS series yet, I have to warn you, after reading this you just might want to run out and buy them all! 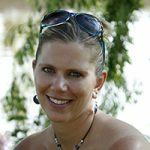 As a homeschooling parent they provide so much potential: you can use them as a quick reference, use them as a spine to stem from, or use them as review! 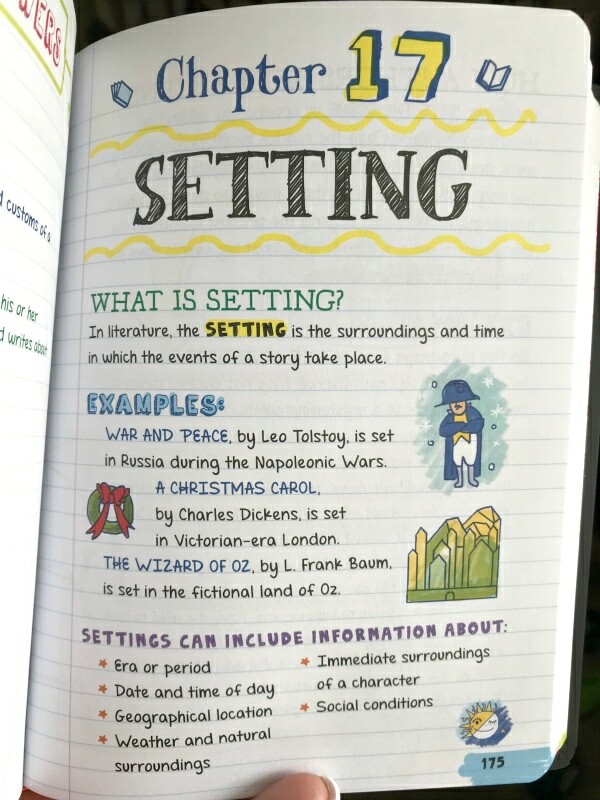 BIG FAT NOTEBOOKS are a series of study guides for middle school students (although honestly you can use them for younger and older students as well depending on their needs). 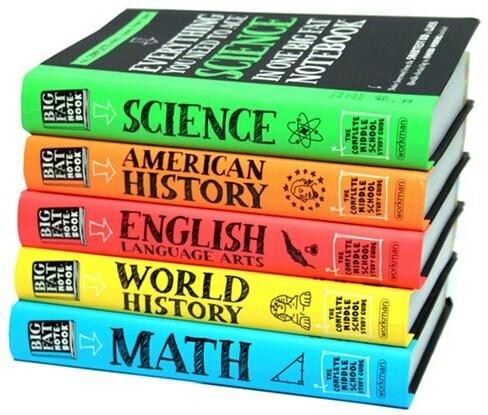 Created by the folks behind Brain Quest, each of the 5 study guide books covers one main topic at the middle school level including Math, Science, English Language Arts, American History, and World History. These books were written on the premise that you are, “borrowing notes from the smartest kid in class”! Who wouldn’t want that advantage? What first drew me to these books were their bright colors and fun cross of composition notebook and doodle style. Each book is done in this same style with the same great features. If you head over to the Workman Publishing Website they have FREE Printable Samples of every one of the BIG FAT NOTEBOOKS! Each of these books can be purchased for less than $15 each (and in most cases much closer to $10!) That means for around $10 you can get middle school science review including scientific investigation and the engineering design process to the Periodic Table; forces and motion; forms of energy; outer space and the solar system; to earth sciences, biology, body systems, ecology, and more! Or how about adding a fabulous Middle School English Language Arts reference book to your homeschool shelf…for less than $15! I can’t tell you how many times I second guess a part of speech or need to remember the exact grammar rule to recite to my kids, in walks the BIG FAT NOTEBOOK and viola! Everything from grammar to reading comprehension to writing with ease, including parts of speech, active and passive verbs, Greek and Latin roots and affixes; nuances in word meanings; textual analysis, authorship, structure, and other skills for reading fiction and nonfiction; and writing arguments, informative texts, and narratives are all right at your fingertips! I don’t know how you could look at these books and not be interested! Both inside and out these books are fun to look at! They begin in on the outside with giant colorful lettering and a thick, sturdy paperback cover. If you look at the bottom corner of the books you will see they are also color coded by unit to help make it easier to find the section you are working in. Upon opening them you will find a fun and colorful notebook style, broken up with diagrams, interesting graphics and doodles. It’s simple, it’s organized (making it so easy to find a topic you are looking for) and the little boxes and illustrations not only break up the tet, but make it easier and more fun to focus and learn. Each of these books covers all the middle school years with one topic per book. That is multiple years of one subject all packaged up in one book for ease of use! When my son completed 8th grade last year I wanted to be sure he was solid in the science concepts he should be comfortable with by now. Using the BIG FAT NOTEBOOKS Everything You Need To Ace Science book allowed me to have an affordable and engaging way to review with him. After having completed the book I felt comfortable that he had a grasp on ALL THE MIDDLE SCHOOL science years before he would move on to studying more in-depth in high school. 4. Fun and Easy Summer Slide Prevention! Are you concerned your child doesn’t have a good handle in math (or any other subject)? Maybe they need another review of the major subjects in American History. Do you want to be able to cover some learning in short and engaging ways over the summer without taking the joy from their free days? 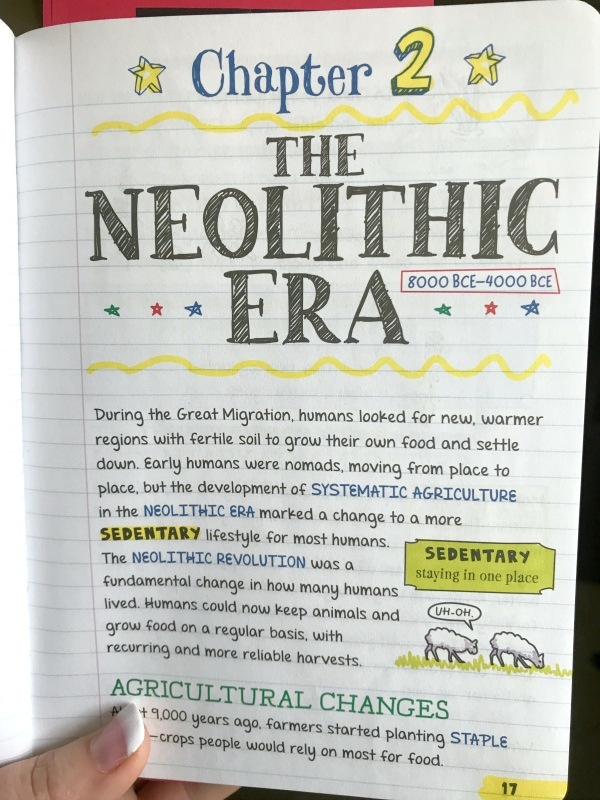 Add one or more of the BIG FAT NOTEBOOKS to some Summer Reading Fun and you can feel confident your kids will have plenty of time for summer fun, without losing all they have learned throughout the year! While we have used some of these book in their entirety, we also use them as a quick reference. Everything from science terms and major events in history, to math help and grammar rules! Because the BIG FAT NOTEBOOKS are organized in such a clear manner they are easy to quick pull out and check something. PLUS you know it will be in terms your children are likely to understand! 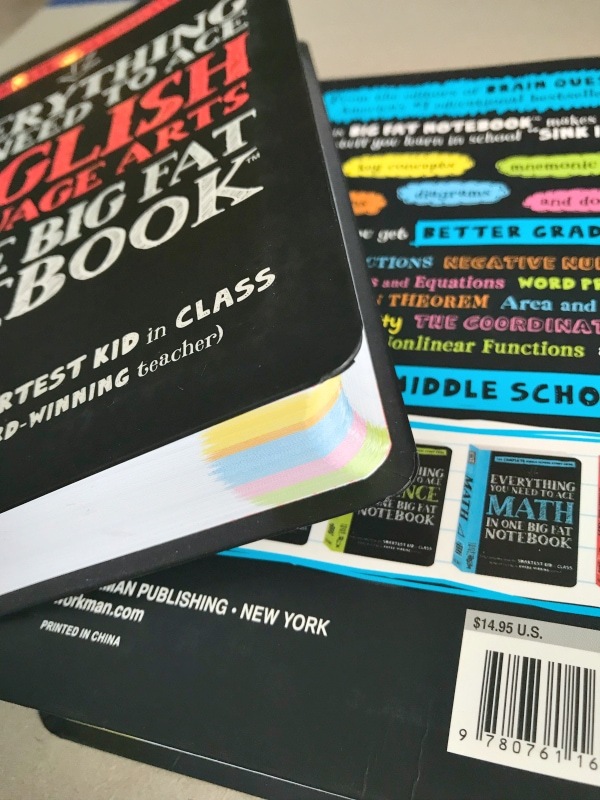 Whether you are homeschooling and looking for a spine to create a curriculum plan from, or public schooling and want your kids to have a summer, there are tons of possibilities for these BIG FAT NOTEBOOKS. If you have kids around middle school age I highly recommend having them in your house and using them in a way that best suits your needs!